This is Huiterangiora meeting house at Pane-te-ure marae in Rūātoki, eastern Bay of Plenty. 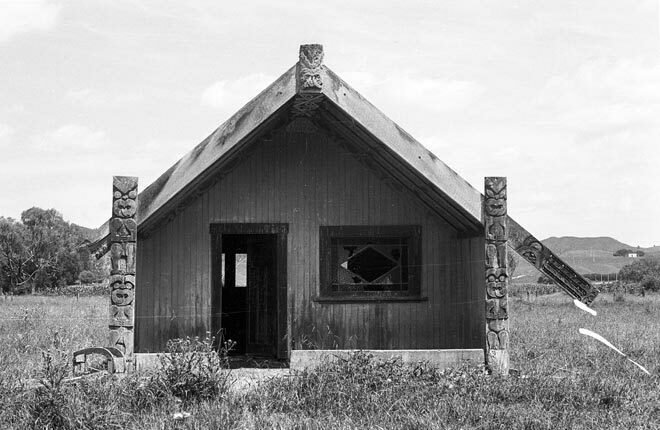 Pane-te-ure is a marae of the Ngāti Rongokarae hapū of Ngāi Tūhoe. According to one story Huiterangiora was also the name of a wharekura (house of learning) in the underworld. There Miru taught a range of skills to the family of his lover Hinerangi, including many games. They took this knowledge back to the human realm.